They use very little water as compared to a household commode, a good thing because RV’s have limited black tank capacity. They do not have a flush tank that can cause water spills as the RV jigs, jags and bumps up and down the road. They do not have a big heavy flush tank that sits on top of a vulnerable porcelain bowl which is only isolated by a rubber gasket from that heavy tank and which is likely to break. They do not have big heavy flush tank lids that are likely to break when you repeatedly hit rough spots in your travels. They only weigh a fraction of what a household commode weighs. They have flush/flap valves which are not dependant on keeping water in a p-trap to prevent odors from entering the RV. 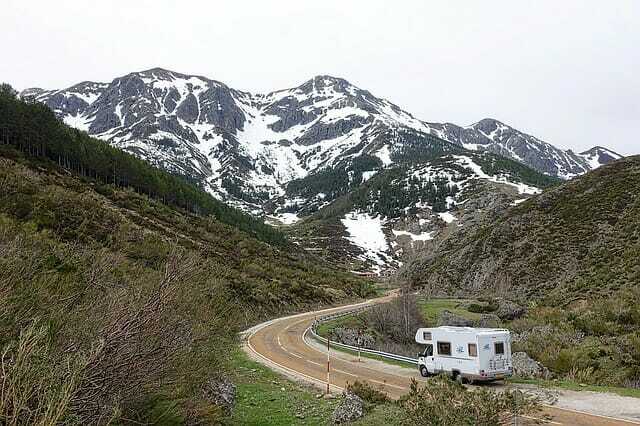 Remember that an RV moves all over the road and will likely empty a p-trap after a few twists, turns and bumps. This is all academic if your intent is to replace the RV toilet in a permanent stationary RV, in which case you would just plumb the household commode directly to a sewer. If you have the type of RV toilet that flushes via a foot pedal (like typical marine-type toilet), you may want to shop around for other models that are more similar to household toilets.